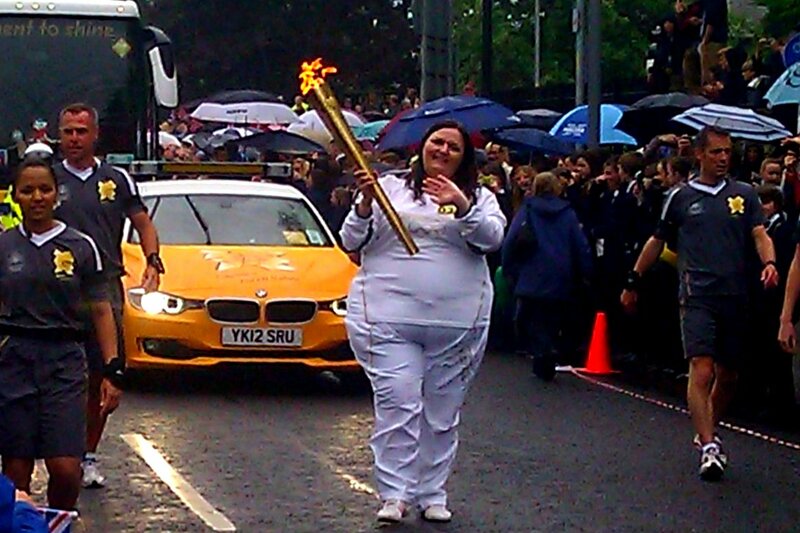 As promised, here’s the Olympic Torch on its way through my town yesterday in the rain (typical). The torch was handed over to various people who contribute a great deal of their time to serve our community. There was an elderly man and various others along with this girl, a star who’s overcome many hurdles to help others. Aaaaand, Episode Ten of Desert Orchid is in pages and the whole pdf file is available to download too. I’ll post pictures of the Diamond Jubilee celebrations being held over the next four days. The UK is coming to a grinding halt while we all celebrate Queen Elizabeth II’s sixty years on the throne. Wow! What are you all up to? Please come in and share! Right, diving back into the writing cave. This entry was posted in DESERT ORCHID FREEBY FRIDAY and tagged author, blogging, C C MacKenzie, comtemporary romance, Desert Orchid, Desert Prince, entertainment, fiction, Olympic Torch, romance, Sheik, writer, writing by CC MacKenzie. Bookmark the permalink. Rain in Cheshire? You’re kidding – really? … sorry, just got to gloat having moved to Texas. Mind you, we miss out on the extra bank holiday. What are you going to do with your Jubilee day? Yep, colour me stunned that it actually rained in Cheshire. We’ve had the wettest April since records began (after the government announced a drought.) The person controlling the Universe laughed out loud at that one! But, as you know, Nigel, we’re an optimistic bunch, so after ten days of wall to wall sunshine without a cloud in the sky, everyone thought ‘Yea, summer’s arrived.’ Should have known better. It’s back on with the sweats and uggs when writing, and avoiding the showers outdoors. We’ve a Bank Holiday on Monday and Tuesday and the celebrations start today at 12.00pm. We’re getting together with friends and family for a couple of feast days. Did hope to fire up the BBQ and spend time in the garden – they’ll need their thermals! Thank you for stopping by, Nigel, lovely to see you. I knew that was summer. Apparently the jet stream is below us bringing in wet and windy weather from the Atlantic. It’s like winter!!!! The poor Queen looked freezing! Now last weekend was blistering. No wonder we’re obsessed by the weather. And no, I BBQ Karen, because he burns everything. I can hear what you want to say and I’m not going there!! So cool to see the Olympic torch! One of my coworkers was at the Coca-cola HQ in Atlanta when it came through there in ’96. I missed it by a couple months. Nothing exciting going on here, just writing, web design and the ever-present laundry. Enjoy your Diamond Jubilee days! I know what you mean about laundry, it breeds! Keep writing, you’re doing great! Yes, I’m going to post many photos. I want to post a link to the music being played in about an hour. Got wine and cheese and my dancing shoes on for that one! Delighted to have you visit! The torch! How fun. I remember years ago when it came through my town. I must have pictures somewhere. Sorry about the rain. We’ve had a week of beautiful weather, tomorrow my daughter has water day and today was kind of cold and misty. What is up with that? Hope the baby feels better soon. And that you manage to get back to writing!!!! !